Salvatore Girone, who was held in custody at the Italian embassy in Delhi, is one of two marines arrested in 2012 over the fishermen's deaths during the operation to protect an Italian oil tanker. 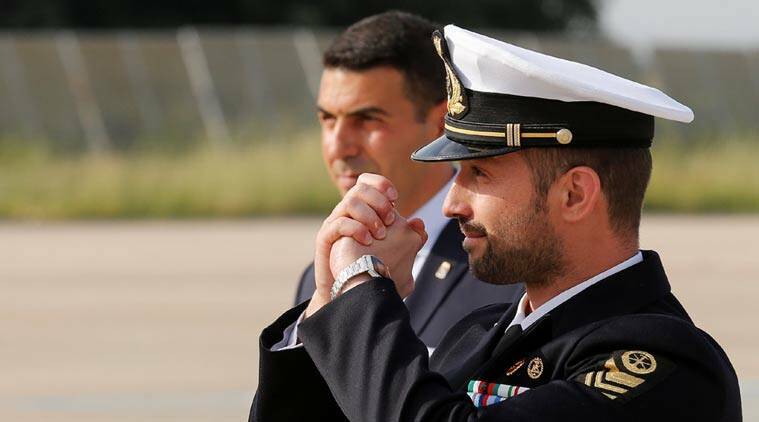 An Italian marine who Indian prosecutors accuse of murdering two fishermen during an anti-piracy mission returned home on Saturday after four years in custody in New Delhi. Salvatore Girone, who was held in custody at the Italian embassy in Delhi, is one of two marines arrested in 2012 over the fishermen’s deaths during the operation to protect an Italian oil tanker. The other marine, Massimiliano Latorre, is already back in Italy after suffering health problems. The marines say they fired on the fishing boat because they thought the Italian ship they were assigned to protect, the Enrica Lexie, was under attack. Indian prosecutors accuse them of murdering the fishermen. India’s supreme court ruled earlier this week he was free to go home at least until Italy’s dispute with India over jurisdiction in the case, which is now in international arbitration, is over. Defence Minister Roberta Pinotti embraced the uniformed Girone when he arrived at Rome’s Ciampino airport. He was also greeted by the foreign minister, the navy’s top admiral and relatives. India’s Supreme Court said Girone must surrender his passport when he arrives in Italy and he will be required to return to India within a month of an order from the tribunal. The long dispute over the incident has strained relations between India and Italy and its European Union partners. In an effort to end legal wrangling, both countries last year agreed to move their dispute to the Permanent Court of Arbitration in The Hague, which also ruled Girone should be allowed to return home earlier this month.